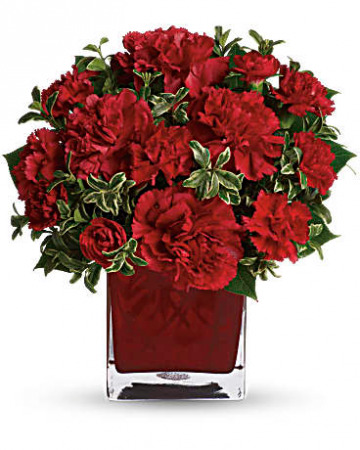 Send this bouquet and you're sending not one gift but two: gorgeous flowers and a colorful cube vase. Arrangement shown as one-sided. Please call to place order. 7 dollars per rose with jewel. 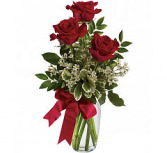 Are you looking for a stunning bouquet at an unstunning price? 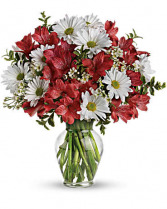 This lovely array of seasonal favorites in a sparkling glass vase is the perfect choice. Guaranteed to be a hit for birthdays, anniversaries, I'm sorry - or just because. Arrangement shown as one-sided.